PT XL Axiata Tbk – XL Axiata (IDX:EXCL, listed on IDX since 2005) is a reputable public listed company in Indonesia, running business in telecommunication (telco) industry. 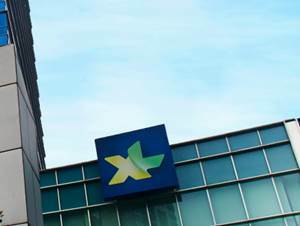 Headquartered in Jakarta, XL Axiata operates primarily as a providers of telecommunication, telecommunication network and multimedia services. XL Axiata is positioned inside the top three of Indonesian cellular operators with a 42.1 million active subsribers as at the end of 2015. PT XL Axiata Tbk is a local subsidiary company of Axiata Group Berhad (Axiata Group), a leading telecommunication service company from Malaysia. As of December 2015, Axiata Group is the majority shareholder at PT XL Axiata Tbk, with 66.4% of ownership through Axiata Investments (Indonesia) Sdn. Bhd and the rest is owned by the public with 33.6% shares. In term of financial performance, XL Axiata posted a stable financial performance in 2015. According to PT XL Axiata Tbk Annual Report 2015 as cited by JobsCDC.com, XL Axiata’s total net revenue was down 2.58% from Rp 23,569 billion in 2014 to Rp 22,960 billion in 2015. The Company’s comprehensive income in 2015 amounted to Rp 8 billion as compared with a loss of Rp 830 billion in 2014. Minimum S1 in Computer Engineering, Telecommunication Engineering, Human Resource Management, Social Science/Socialogy or equivalent. Minimum 3 years of experience in the organization, preferably conversant with operations and business tools. Preferably experienced as Manager/Assistant Manager specializing in Human Resources or equivalent. Have a good presentation and facilitation skills. Past experience in establishing effective partnership within and outside the organization. Strong analytical and strategic thinking. Good understanding of unit business operation knowledge and business process. Familiar with developing and delivering knowledge sharing programs and with the telco’s information infrastructure. Minimum 1 year of experience in the field of SAP or related programming area; especially in MM module. Intermediate level in Computer (Microsoft Office, Internet and Windows). Intermediate knowledge of ERP module (preferably). Basic knowledge of SAP reporting, LSMW and workflow. Minimum 5 years of experience in the related field, preferably as an Assistant Manager/Manager specializing in Sales – Corporate or equivalent. Minimum S1 in Information System or Electrical Engineering. Minimum 5 years of experience in similar position or in production support or in IT Development. Strong knowledge of Quality Control concept and process. Strong understanding of service testing method and procedure. Strong understanding of product development lifecycle. Strong understanding of Telco product. Strong understanding of process improvement. Minimum S1 in Computer Science, Information Technology, Economics, Computer Engineering, Telecommunication Engineering, Marketing or equivalent. Minimum 3 years of experience in the related field, preferably as a Supervisor/Coordinators specializing in Sales – Retail/General or equivalent. Intermediate knowledge of sales and distribution and marketing. Computer literate with advanced level of Microsoft Excel. Intermediate knowledge of dealer management system. Intermediate knowledge of telecommunication industry and related to competitor po.